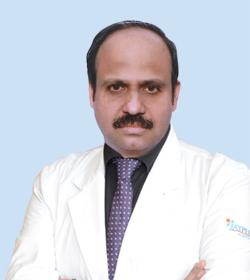 Dr. Goyal completed MDS (Oral & Maxillofacial Surgery) from GDC, Amritsar. He also pursued M.Sc. (Oral & Maxillofacial Surgery) from University of London. He also has a fellowship in Dental Surgery from the Royal College of Surgeons, England. Dr. Goyal has special interests in TM Joint Surgery, Facio Maxillary Trauma and Surgical Oncology. He also has thirty research papers published in national and international journals to his credit. He has experience of more than 25 years.